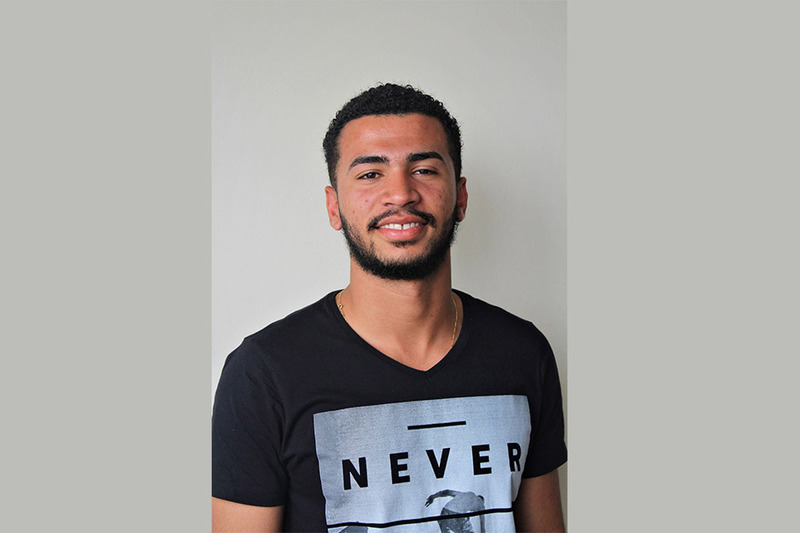 “I grew up in a community in São Gonçalo. Due to the nature of that place, there was always a lot of drug dealing in the neighbourhood. Most of my childhood friends are involved in it today, but, fortunately, my parents always provided me with a different path. They taught me about the difference between right and wrong, and I think I can say that, despite the problems related to the life in a community, I had a good childhood. In 2014, I found Karanba and started playing football there. I dreamed of being a professional player because many kids think this is the easiest way to get a good life, a fast car and money. It did not take long, though, for me to realize that it would not happen. I decided I wanted to study something, but I was not sure about what it would be. Then I was presented to Dream Learn Work at a Karanba workshop. I started to ask around and ended up choosing an Electrotechnology course. The fact that I ended up taking this technic course was random, but, once I was inside that area, I realized I really liked it. Above all, I was motivated by my parents’ financial situation. They never had money to put me in a good school, but, with my education, I hope that one day I will have the chance to help them, to give them a better life. Besides that, I want to show other Brazilian kids that it is possible for someone like me, who was raised in a community, to obtain good education and be successful. Beyond offering me the Electrotechnology classes related to Electrical Engineering, Dream Learn Work also helped me in other ways. A big quality of the NGO is that they put us in contact with people with higher education, who serve as examples and mentors for us. When you grow up in a community as I did, you are rarely exposed to someone with such a high level of education. The only situation where it happens is when you go to the doctor. The lack of interaction can lead to the creation of a barrier between you and people with higher education. However, as previously stated, thanks to Dream Learn Work, I had the opportunity of being face to face with professionals who guided me. I even had the opportunity of observing the work of an engineer from the Norwegian oil company Statoil, through of a mentoring program from DLW. That close contact does something to our mind. It decreases the distance between us. I realized that those people have gotten to where they are today because they studied hard, and it was a big motivation for me. In addition to that, Dream Learn Work gave me many possibilities to increase Soft Skills like the interpersonal abilities, which helped me a lot, even in my private life. I used to be a very shy person, but, because of DLW, I was challenged to make presentations and to participate in interviews like this one. I hope someday it will help me to get a good job so I can help my family”. Both Karanba and Dream Learn Work are sponsored by the Norwegian Foreign Affairs Ministry.